Bounce along with this Disney princess dream team! All the most iconic Disney princesses are gathered together on this themed inflatable. Spanning from the classics, including Cinderella, Sleeping Beauty, Belle, and Snow White, to cultural icons like Pocahontas, Mulan, Jasmine, Tiana, and Merida, and new favorites such as Elsa, Anna, and Sofia--this jump leaves no princess behind! 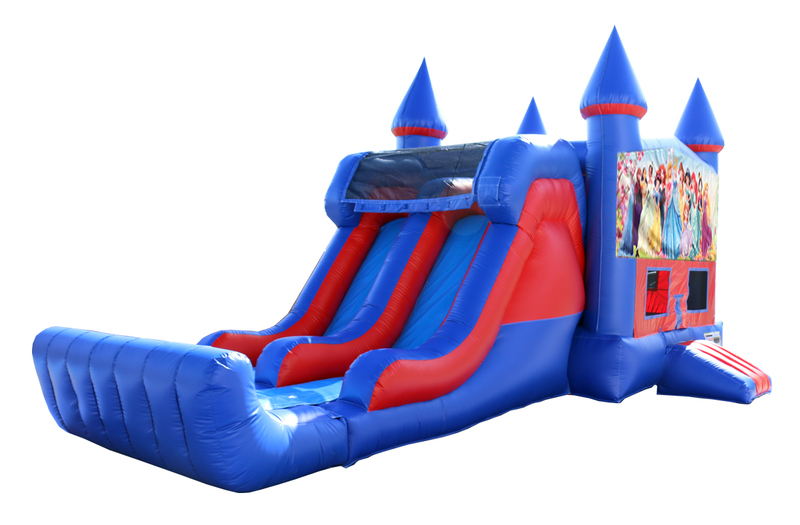 Your Disney fan will surely love this inflatable from Bouncing Buddies. See if guests can identify them all! Got Bounce? 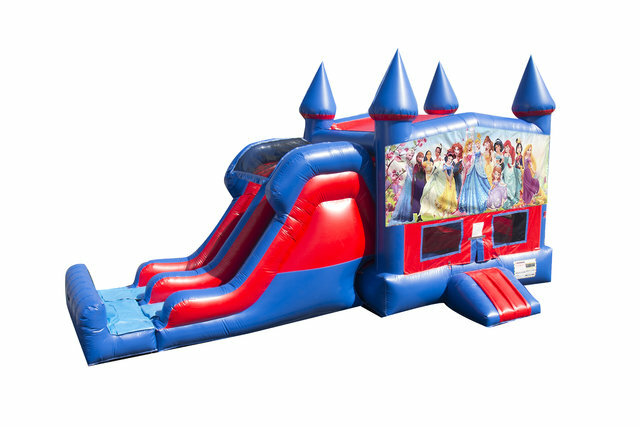 The Bouncing Buddies All Disney Princesses 7' Double Lane Dry Slide Combo is great for family entertainment, providing the most popular form of amusement for children. Bouncing also puts you in a state of health and fitness, improves your sense of balance, creates an aerobic effect for your heart, strengthens your muscles, and increases the capacity for respiration, resulting in better mental performance!